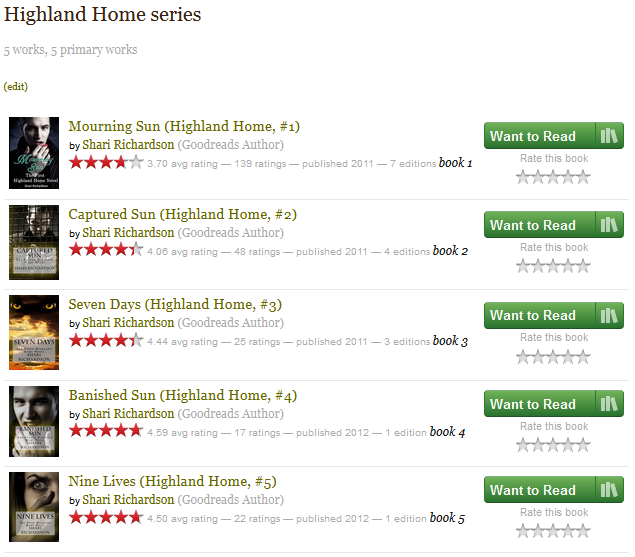 I can’t tell you how excited I was when I heard from the publisher to whom I had submitted my Highland Home Series that they wanted to publish the second editions of the first five books and then the sixth and seventh books. I danced around the kitchen. I called my family. I did everything an author does when someone outside his or her circle of friends and family validates their writing. I’m sad to say the euphoria didn’t last long. Less than three months later, I have taken my books back from the publisher and decided to return to self-publishing. Why? Because why should I pay any portion of my royalties to another entity when I was still doing every single thing I did as a self-published author? I wrote the books. I rewrote and heavily edited them for the second editions and gave those edits to the “publisher.” Then, I waited. While I waited, I advertised. I planned cover reveals for a cover I didn’t yet have. I planned a launch party for a book that was still with the editor and I advertised. For hours and hours a day, I worked on promotion. I read, with dismay, in the publisher’s group how the authors were expected to do all the work when it came to promotion. It was up to us to get the word out in any way we could and the best help I received was a retweet or share from one of the members of the street team. It was my responsibility to set up interviews and book signings and readings, but I had no book in my hand yet, and even when it was supposed to be released, it was going to be several weeks before I had hard copies for which I would be charged nearly full price, leaving pittance in earnings for me after I had done all the work. So when it was four days before the release of my book and after nearly two months of broken promises, and I still didn’t have any edits back, I called it quits. The only thing I actually received from the publisher was a cover design (for which the publisher is now refusing to pay the designer). I believed it would be unethical to use that cover since I wasn’t with the publisher any longer and so I designed my own. I formatted the manuscript, put it through its paces with Createspace as I had done with the first edition, added the new cover and viola! My book was ready to go on the release date I had been promoting for two weeks. The Kindle version went live within 12 hours and the paperback version a few hours later. Now I can continue my promotional quest and order hard copies of the book for signings and talks at a quarter of the price the publisher was going to charge me. I didn’t expect the publisher to do everything for me. Please don’t think that. But I did expect help in promoting the book that didn’t eat up every cent of royalty I might earn. I didn’t expect to “edit” the publisher’s boyfriend’s book in exchange for a reduction of fees for the editing and formatting of my book only to find the book I was given to edit was so horrifically written it was almost incomprehensible. I didn’t edit that book so much as rewrite it. And given that it was released not two days after I returned an overnight editing job, I can only assume that the “author” chose accept all changes in track changes and ignored the suggestions that would have required work on their part. I am bitter. I was counting on help in getting my book into places self-published authors have trouble with–like Barnes and Noble brick and mortar stores–and instead I faced weeks of frustration and second-guessing my decision. When I spoke with other recently signed authors and found that they were having similar experiences, I made the decision to walk away. Self-publishing isn’t a dirty word any more. If a book is well-written, skillfully edited, and meets the desires of readers, who cares if it comes from a publishing house or a self-published author? Especially when the publishing house is little more than a self-published author acting as a go-between for the low, low price of 40% of your royalties? 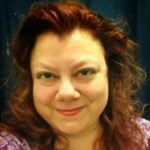 Shari Richardson holds a master's degree in English Education and has spent much of her life teaching students the joy of reading and writing. Her love of writing began when she was in elementary school and has carried through her entire adult life. Shari is the author of the Highland Home series which currently includes Mourning Sun, Captured Sun, Seven Days, Banished Sun and Nine Lives. Two Suns, the next book in the series, will be coming in late 2014. Shari currently lives in North Carolina with her two Chihuahuas, Buster and Gracie.